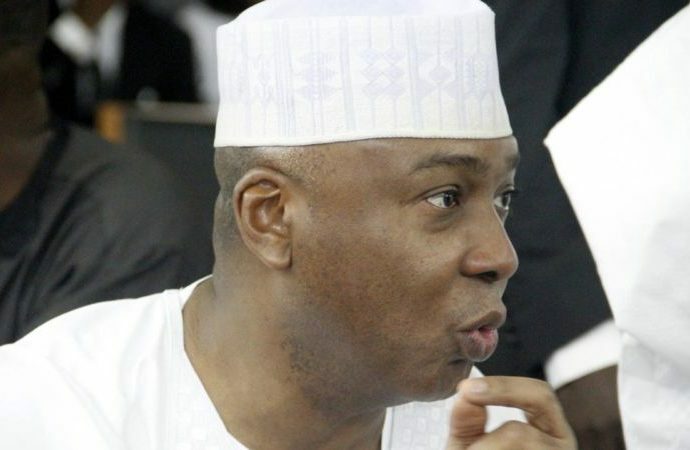 In order to enhance the economy and reduce poverty, the National Assembly has prioritized enactment of laws that would create additional 1.57m jobs and improve income growth in the next five years, Senate President Bukola Saraki has said. According to him, the decision was compelled by the need to enable the legislature evolve a way out of the circle of volatility that the country continue to experience in economic fortunes as a result of over reliance on oil. Saraki stated this yesterday at the anniversary of the National Assembly Business Environment Roundtable (NASSBER), in partnership with the Nigeria Economic Summit Group (NESG), DFID ENABLE project, and the Nigerian Bar Association – Section on Business Law (NBA, SBL). NASSBER is a constructive engagement between the National Assembly and the private sector, a legislative agenda adopted to set in motion modalities to give the legislature a clear legislative focus. By this action, the NASS has the biggest lawmaking task to help strengthen the private sector to drive the economy and deepen its diversification. Also, this platform gives the private sector a room to inject their thoughts on how best to frame the legislative interventions needed for creating opportunities and jobs for the people.